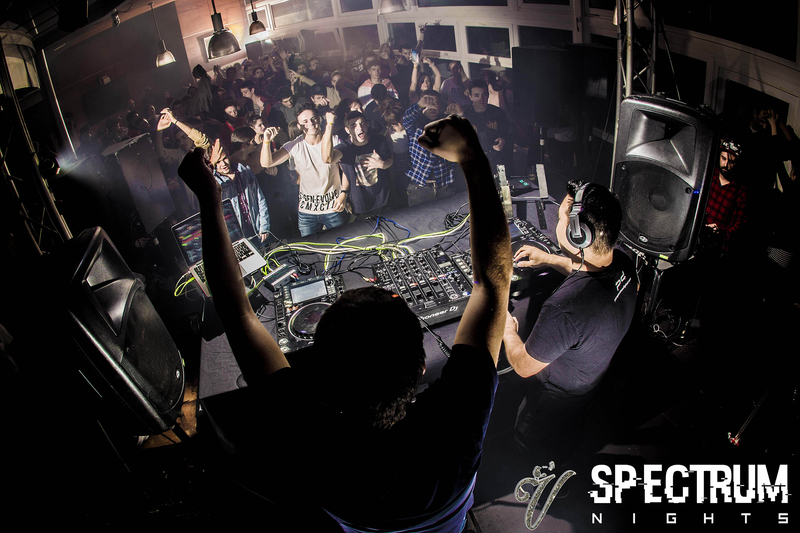 In the electronic music industry today, artists face the challenge not only of getting their music heard among the crowd, but in keeping the attention of DJs and audiences after the small window of awareness has passed. Staying fresh in the minds and ears of fellow creators and music lovers requires a consistent and constant effort. It requires a combination of technical skill with creative spirit, and a passion that transcends the inevitable complications and struggles that they will have to face along the way. 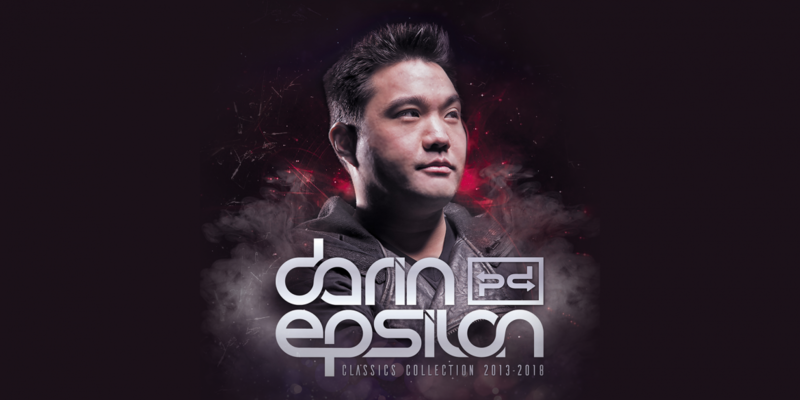 Listening through Darin Epsilon’s 2013 – 2018 Classics Collection these thoughts crossed my mind, reminding me that while there may be an abundance of new tracks released every day, those which have been created with focus, meaning, and intention can stand the tests of time. Of course you won’t know which ones those are if you never have the chance to listen to them. It makes me wonder: How many awesome tracks am I missing out on just because there is too much music, too little time? That’s one of the reasons why I love this idea of Darin’s, to share 40 of his most noteworthy tracks from the last 5 years all together in one place. Five years somehow simultaneously seems like both a long distance and over in the blink of an eye, and it’s a great exercise to listen back on those pieces of music that invoke our emotions or inspire our spirits, even if we missed them the first time around. It was great to catch up with him to learn more about his thoughts on this release, and to find out what it takes to keep making music to remember. How did the idea come about to create this collection? The album features 40 of my most noteworthy tracks from 2013-2018. 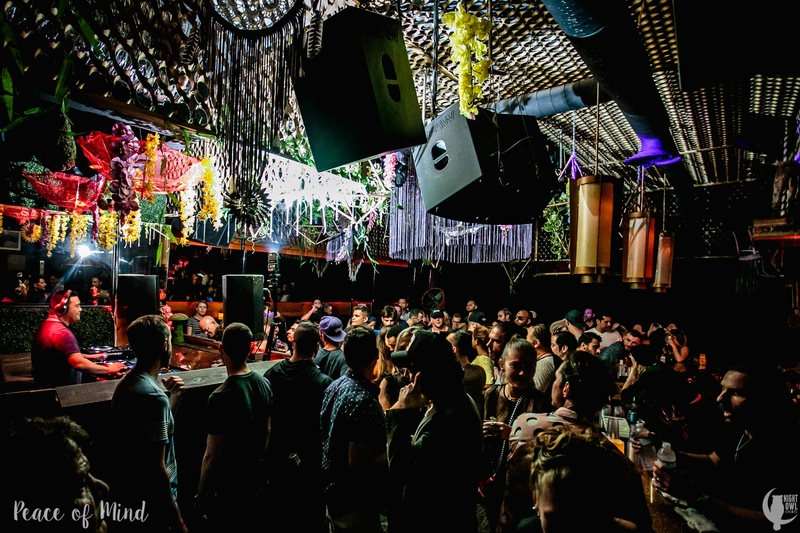 These classics were handpicked because they either experienced the most chart success or were played and supported by huge influential artists such as Solomun, Hernan Cattaneo, Nick Warren, Pete Tong, Above & Beyond, etc. I poured my blood and sweat into each and every one of my productions. As you know, it only takes a few weeks now before a release is considered old, so it’ll be great to have a brand new audience be able to discover them. There are two previous Classics Collections albums available (2007-2010 and 2010-2013) in case anyone is interested to check them out! What stands out to you when listening back through your music from the last 5 years? Time has really flown by so quickly, haha. It’s actually not all fun and games though. Producing good music takes time and requires loads of patience and motivation. If nothing else, I want people to be able to hear my full range as an artist with this album. I never like to produce just one sound because it’s like an artist painting with only one color. 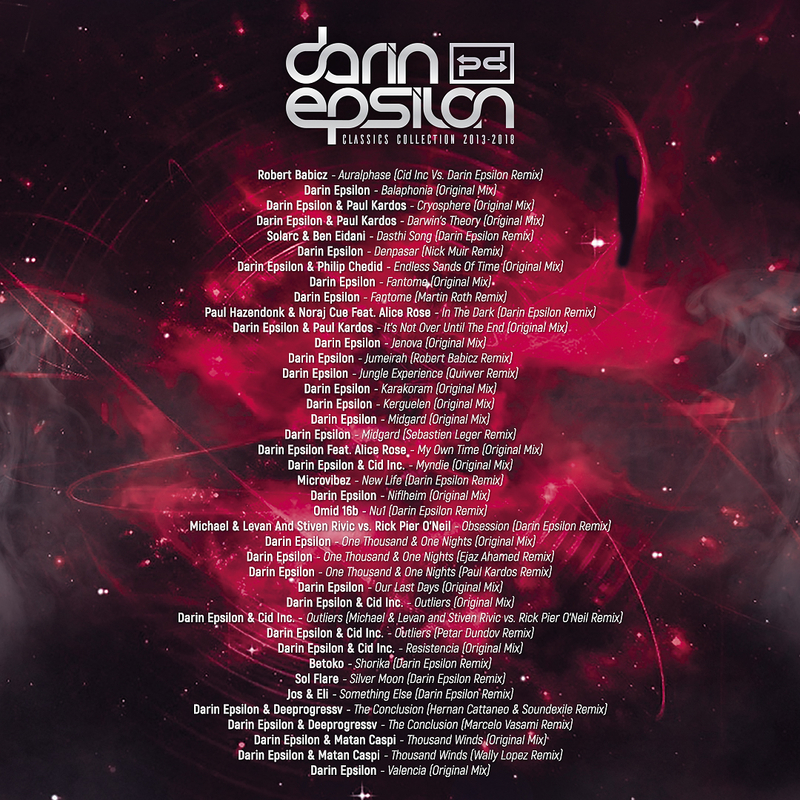 You’ll hear everything from Deep House to Melodic Tech to Vocal House to old school Progressive House in this collection. Would you say that your music has gone through any changes since 2013? What about your production process or studio routines? My sound has definitely evolved since 2013, but there’s always been a consistent thread throughout each of the tracks that I make. I always strive to create tracks that display a high level of musicianship and thinking outside the box. In terms of production, the technology available today is way better than it was 5 years ago. I used to bounce my stems out of Ableton and import them to Logic because it sounded better. It was extremely time-consuming having to bounce each of the channels, but now I don’t really consider it necessary since the sound quality of Ableton version 10 is so much better. I also recently bought the Native Instruments Komplete Kontrol keyboard, which has been the best addition to my studio in recent memory. There are some awesome collaborations in this collection, could you share what it means to you to work with these other artists? Do you have any favorite stories from these projects? I always enjoying collaborating with other artists. It’s like being able to get inside someone else’s head and think in a different way. It gives me an opportunity to observe how my peers go about constructing a track. It’s honestly been an invaluable way to learn new production methods and tricks. Often times a collaboration can go wrong, and producers will fight each other over every little decision. I’ve actually had a few experiences where collaborations didn’t work out and had to be deleted. On the other hand, it’s an absolutely amazing feeling when things do go right and both producers are feeling proud of their work. Do any of these tracks have a particularly special meaning to you? Every one of these tracks has a story behind it, some good and some bad. If I had to choose just one though, Our Last Days was the last track I wrote in Los Angeles before moving to Europe. Up until that point I had been living in LA for 8 years, so this track is sort of dedicated to my friends and family that I’m missing back home. What is most important to you for listeners to experience when they hear your music? I only put out music that I genuinely feel. If I’m not feeling a track, then I can’t really ever expect my audience to either. Humans can express a wide range of emotions, and it’s our jobs as artists to capture these feelings and instill them in our art. The worst thing, in my opinion, is to put out music that is soulless, meaningless, and lacks imagination. Do you have a favorite from this collection that you have enjoyed most playing live? Any memories of moments that really left an impact on you? 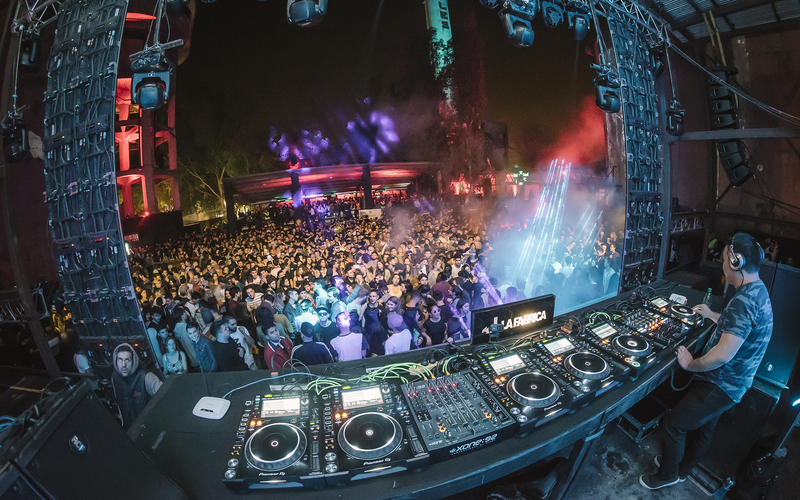 Also playing my remix of Auralphase by Robert Babicz in front of 10,000 people at Metropolitano in Rosario was pretty freaking awesome. Release Date: January 28th – Pre-Order Now!